Dry suit diving on Crete! Learn to dive in a dry suit in a comfortable way! Learn to take stunning photos underwater with our PADI Digital Underwater Photography Specialty! With our high standards of equipment and teaching, this is the best place to learn about deep diving! We offer a wide range of PADI Adventure Dives and PADI Specialties, with which you can expand your diving experience. 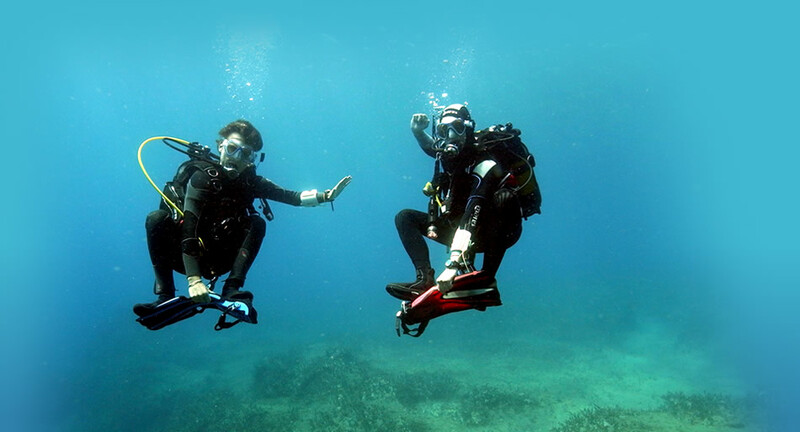 Here on Crete we have fantastic diving conditions which make all these courses lots of fun. PADI Adventure Dives and Specialties include a lot of practical experience and a lot less theory, which make them perfect holiday activities! Here below you will find information on all kinds of fun activities. If there is a diving activity which you are interested but can't find below, then please contact us. Neptune Gras (Posidonia oceanica)- The Project!